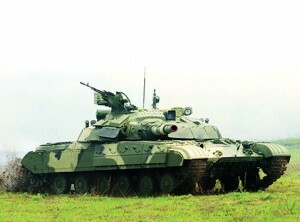 The Yatagan MBT is equipped with a 120 mm gun and an automatic loader placed in the turret bustle, which enable it to fire NATO standard ammunition. 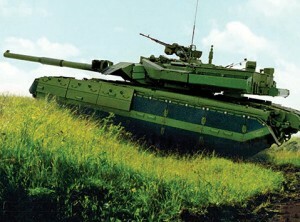 The tank can engage ground, floating and low-speed air targets by day and at night at distances of up to 3 km (by conventional ammunition) or 5 km (by guided missiles) within the temperature range of -40 to +55 degrees Centigrade under any climatic conditions. a power pack that ensures mobility of the tank under the hot dusty, conditions as well as in mountains at the heights up to 3,000 m.
The tank is easy to study, reliable in operation and ensures fulfilment of combat missions at the up-to-date level. 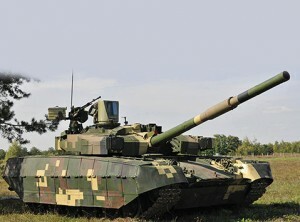 In order to increase the efficiency of T-64 main battle tanks which are in service with the Ukrainian army, the Kharkiv Morozov Machine Building Design Bureau has developed a comprehensive tank upgrade package. The package includes measures to enhance mobility characteristics, rotection level and fire control efficiency. It is possible to upgrade the tanks in any areas in any combination according to the Customer’s request. It is possible to install additional equipment: auxiliary power unit, power pack thermal protection, quick-response fire suppression system, airconditioning system, KBA-3 gun etc.